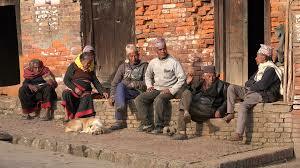 Nepal government launching national campaign for senior citizens’ health insurance - Integration Through Media ....! KATHMANDU: Nepal government today is announcing the national campaign for health insurance of senior citizens and opening of bank accounts of all Nepali on the occasion of the Nepali New Year 2076 BS. Prime Minister KP Sharma Oli is scheduled to inaugurate the campaign amidst the presence of several senior citizens at local National City Hall. The government will be announcing a health insurance scheme of up to Rs 100 thousands for senior citizens at a programme to be jointly organised by the Office of the Prime Minister and Council of Ministers; Health Insurance Board; Nepal Rastra Bank and Nepal Bankers’ Association. The government has decided to pay itself a premium for the scheme. Presently, 713 local levels, out of 753, have access to institutional finance services and it will be extended to the entire levels by the end of current fiscal year. Under the campaign, those citizens who have not bank accounts in their name can open it at Rs 100 and the charge will be paid by the government. All sorts of payments will be made through a banking system once all the local levels have access to financial services. The campaign is expected to create a base for financial literary, social security, inclusion and prosperity.